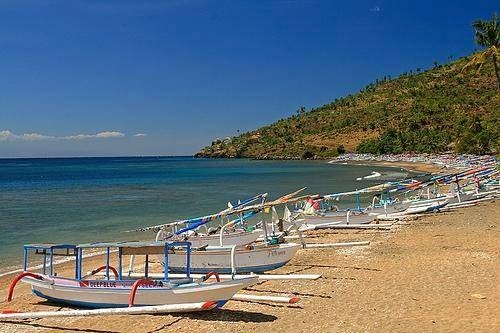 Attractions in Amed has a beautiful beach with displays sunrise in the morning which was amazing. 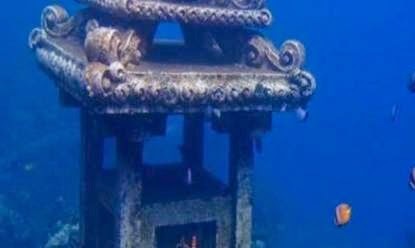 Amed Sea also has the beauty of the underwater world with a good view, so the ocean in Amed is very suitable for diving practice. Amed there are a lake, located on the near of beach. The lake is often used for a diving exercise by the beginner. 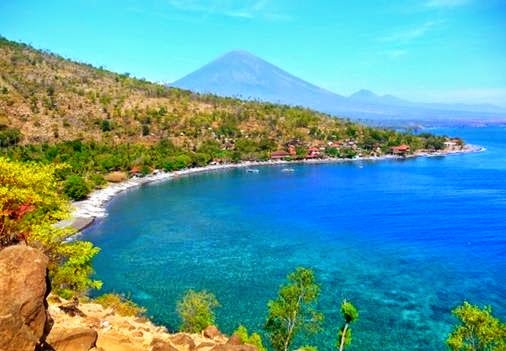 In Amet sea is great for snorkelling and diving, because the seabed around Amed has beautiful coral reefs and diverse. The beach with black sand and clean sea water is also very clean. If viewed from a high place, the sea in Amed will look blue. Giving the fact that the sea at this place is very clean. Amed is the name of a village in the district of Abang, Karangasem regency, Bali. Access to the site of Ngurah Rai Airport about 2.5 hours away by car toward the eastern region of the island of Bali. Most of the lives of residents in the village of Amed work as fishermen. Can be seen in the number of boats that rely on beaches along the village of Amed. Amed village along the coast are black, unlike in South Bali beach that is mostly white. Because the sand is black, it is causing sea is very blue color, by reflected light from the blue sky, reflected perfectly. Sand derived from a variety of objects, usually in the form of rocks that later because of a variety of processes turned into small granules. The rocks came from an erupting volcano. Rock type determines the color of the sand on the beach. White sand beaches, for example, was caused rocks in the local mountains that contain a lot of lime. Color black sand beaches caused many rocks contain alluvial soil. Amed now be excellent for foreign tourists who come to Bali. Most travelers visiting Amed is derived from Europe. Most of wisatan heading to Amed to dive and enjoy the underwater beauty. Because becoming very popular and preferred by foreign travelers, Amed area is now also much visited by domestic tourists. If continued walking down the Amed coast, you will arrive at the village Jemeluk that have small pieces of coral gardens are very beautiful. Divers can use the boat to reach the village Jemeluk. There, divers can see turtles, stingrays, sharks and coral reefs are very beautiful depending on the depth of the dive. About 10 meters from the shoreline there is a framework Amed Japanese patrol boats in World War II shipwreck. 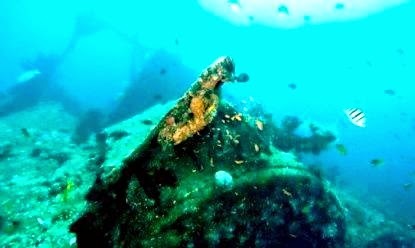 This location used shells ship dive tourist areas such as those found in the village of Tulamben Bali. Many supporting tourism facilities such as restaurants, hotels and bungalows in the Amed area. Community life here in general is a fisherman. Rural atmosphere is still felt, pristine tradition affected the foreign culture, the people in the village of Amed is also very friendly with newcomers and strangers, the beauty of the sunrise in the morning, while enjoying breakfast, will add to the exotic atmosphere during the holidays.